Personal weather stations are devices installed and maintained by weather enthusiasts across the country. Some are installed at homes, while other are installed at schools or businesses. 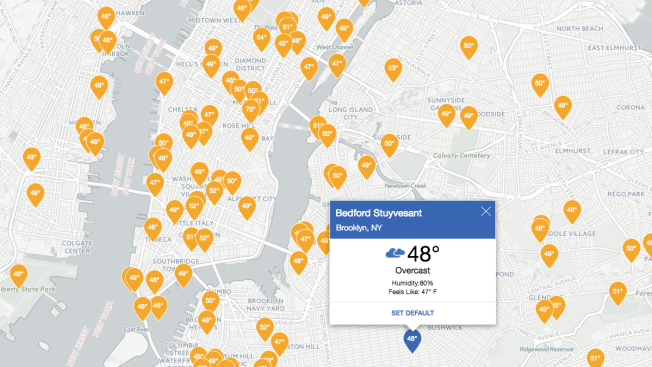 NBC 4 New York has partnered with Weather Underground to gain access to their more than 200,000 weather stations worldwide.